Stephanie Harrington had always expected to be a forest ranger on her homeworld of Meyerdahl until her parents relocated to the frontier planet of Sphinx in the far distant Star Kingdom of Manticore. It should have been the perfect new home - a virgin wilderness full of new species of every sort, just waiting to be discovered. But Sphinx is a far more dangerous place than ultra-civilized Meyerdahl, and Stephanie's explorations come to a sudden halt when her parents lay down the law: no trips into the bush without adult supervision! 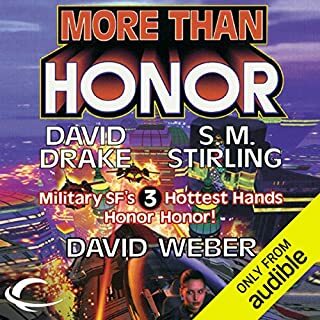 New York Times best-selling author David Weber invites David Drake and S.M. Stirling, two of today's top writers of military science fiction, to join him in an exploration of Honor Harrington's universe. Growing up, Travis Uriah Long yearned for order and discipline in his life...the two things his neglectful mother couldn’t or wouldn’t provide. So when Travis enlisted in the Royal Manticoran Navy, he thought he’d finally found the structure he’d always wanted so desperately. The Star Kingdom is a minor nation among the worlds of the Diaspora, its closest neighbors weeks or months away, with little in the way of resources. With only modest interstellar trade, no foreign contacts to speak of, a plague ravaged economy to rebuild, and no enemies looming at the hyper limit, there are factions in Parliament who want nothing more than to scrap the Navy and shift its resources and manpower elsewhere. ©2014 Words of Weber, Inc. & Timothy Zahn (P)2014 Audible Inc. Counterpoint to the "modern" navy. As a book it's place in the honorverse is as a contrast. Readers familiar with the previous series books will recognize attitudes and issues. But that navy with it's polish and sophistication is absent. A very much smaller organisation, fewer ships and people, less support and less confident. This story offers a fresh view into an established universe. Using a seemingly ordinary, somewhat boring character as a fulcrum to explore political, social and personal issues. By simplifying the technology and geography the emphasis shifts to behaviour. Overall I would recommend this book to any reader. Especially those already invested in the Honorverse. 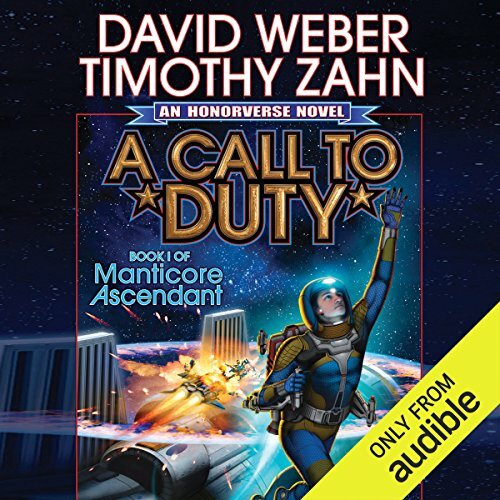 Where does A Call to Duty rank among all the audiobooks you’ve listened to so far? 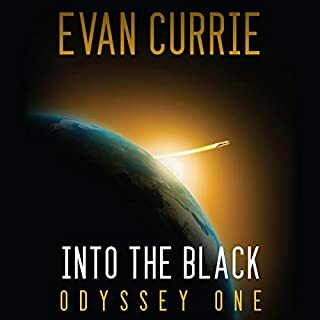 It's certainly one of the most outstanding audiobooks I've listened to thus far. What was one of the most memorable moments of A Call to Duty? The interplay between characters trying to outwit one another, a very lovely call and response that feels very organic. Yes. Sadly, I could not. 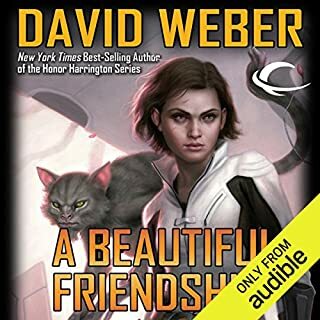 This is my first time into the Honorverse, and it was quite enjoyable. There were a few things that I felt like I may not have had all the information--but they were minutia and just part of my own OCD to know the more esoteric details. This, however, isn't my first time with Zahn. I do enjoy the wonderfully crafted thought processes that he puts into his characters. Though it was a little hard to get to liking Travis--as I knew someone in my own travels with the military very much stick-firmly-in-places. But by the end, I was rooting for him anyway. I very much enjoyed this listen, and will definitely pick up the next one. The book is an interesting mix of character story, political intrigue story, and military sci-fi adventure. For me, it moved a bit slow in places and grew overly technical here and there, but on the whole, a satisfying read. I'm just bummed that I have to wait for the next volume to come out. The story is well resolved, but also ends with a few new starts on the next installment. I hope to read many more Weber-Zahn collaborations in the (hopefully very near) future! 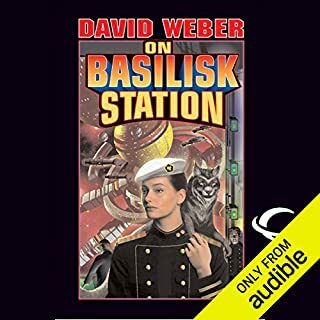 When I first read “On Basilisk Station” in 2009 David Weber had me hooked. I have read all the Honor Harrington series and now all the sub series. This book is to be book one in a new series about Manticore star system prior to the time of Honor. In fact the book starts not long after the founding of the Star Kingdom of Manticore. The Manticore wormhole junction has not been discovered yet. Our protagonist is Travis Uriah Long who has just enlisted in the Royal Manticore Navy at the age of 17. The existence of the Navy is under threat from political and budget problems. Travis is assigned to a ship going out of the Star system to check out the Havenit military surplus ship sale and to check out their shipbuilding capabilities. Then they meet the pirates and the action begins. Long’s brother Gavin is a junior peer in the House of Lords who wants to do away with the Navy. We are introduced to naval officer Edward Winton heir to the Manticorean Crown who is fighting to keep the Navy. The ending is a cliffhanger getting ready for the next book. The book is well written, full of action and interesting characters. The book contains technical details, military protocol, intrigue and political drama that you would expect in a Weber book. I think there is less world building political info dumping with Zahn as a co-author. The book is a fun read. Eric Michael Summerer did a good job narrating the book. 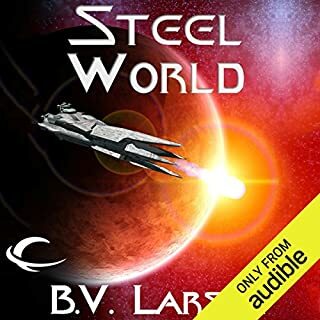 If you enjoy military sci-fi or are a fan of Honorverse you will enjoy this book. Another great start to a Honorverse series. What did you love best about A Call to Duty? 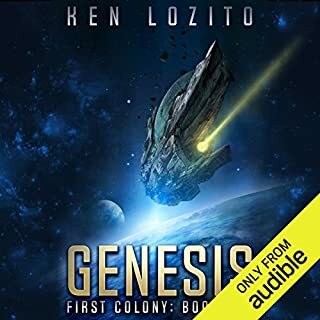 Adds a historical context to the Honorverse, in how Manticore came to rise, the discovery of the wormholes, and the politics in between. Typical Weber depth of characters. A good book to fill the void in the current HH series. What about Eric Michael Summerer’s performance did you like? Good narration and voices, great use of distinctive accents and voices for characters. I listen as I drive to work, can't do one at a time. Narrator can't keep his characters straight! Would you try another book from David Weber and Timothy Zahn and/or Eric Michael Summerer? By David Weber and Timothy Zahn, but not for Eric Michael Summerer! Do you think A Call to Duty needs a follow-up book? Why or why not? Yes, it seems to be a springboard to more books about Travis Long. What did you like best about A Call to Duty? What did you like least? It was easy to listen to is the best I can say. The story line and the characters were simplistic and predictable. Not bad but not a series I would buy into again. I know that Zahn can write a good story. I feel that Weber is the driving force behind the story here. I like his style at times. But it can get very drawn out. A Call to Duty misses on many fronts. First, the writing is slow to build. Which could be fine. But it does not focus on character building. Instead it focuses on a very dull plot. I could have gotten into the military training, or life aboard the ship, but its all bad politics. George RR Martin pulls off political detail and makes it sing. But this is blah. Hard to follow which character is which & doing what. This book makes a stab at having a main character. But half way through, he pretty much vanishes. And you dont really care about him. Lastly, Weber & Zahn create this universe with spoiled royalty clogging up an ineffective navy. Then ditch it half way through. This is a very incomplete story. Not worth listening to. Maybe if you like the 2nd or 3rd Honor series book. Its very similar to that. But otherwise steer clear. There isn't much action at the start. Things are pretty quiet for a long time while the situation gets set up. Of course, Travis Long makes bigger contributions than you would expect from his lowly position. The climax features interesting puzzles with satisfying solutions. I'm looking forward to the next in the series. I took a chance with this title mostly because I recognized Timothy Zahn as a top Star Wars author. The genre is new to me in terms of books that I take in. The story was interesting and performed well even though i was unused to the technical aspects. I'm looking forward to the next one. The problem with this series is, the reader has nothing invested in the outcome. We already know how things turn out in the end. It's history - and it does not change. I find that I could not care less about the people involved in the story. What they did might be wonderful, but it does not change anything in the future of Manticore. We already know what happens in the Honor Harrington series and, for me, that is really all I care about. I would prefer that David Weber invest in the next episode in the future of Manticore, rather than the past. Ok so its not Honour but the world is great amd just a vibrant. Interesting to hear about the start of the Star Kingdom. Well worth a read, looking forward to the next one!